It’s April. Before you commence spreading pounds of quick-release fertilizer, consider letting your lawn combat climate change. More grass, less patios! Let your lawn be a sponge for the environment. Replace your patio with a lawn and thank grass for being a sponge when extreme weather events hit. Do you know where your lawn fertilizer mostly goes? Hint: It’s not going to grass! Don’t trash grass. Use slow-release fertilizer. 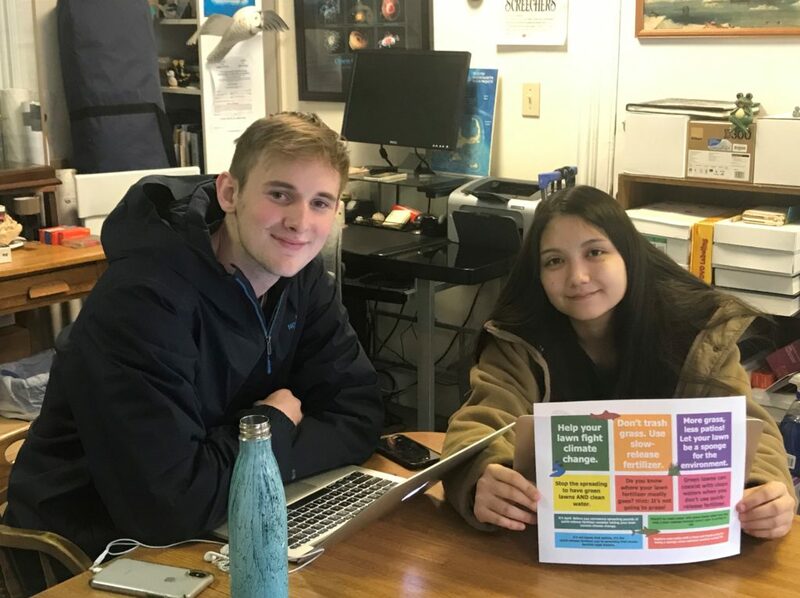 Spring semester interns Hunter Lambert and Isobel Rounovski talk with Rob about the ongoing activities of ORI’s Clean Water Project. Hunter tells listeners of the benefits of slow-release fertilizer for lawns. Isobel talks about the harms of Roundup and safer alternatives. We are working with towns to modify their wetland permitting language and develop educational materials on managing lawns so they do not pollute. Actually, the biggest challenge is simply connecting with someone in the Conservation Department. Then the dialogs begin to hopefully be invited to speak to the Commissioners. Hunter and Isobel share some of the more interesting conversations with Acton, Cambridge, Lynnfield, and Weston. We learned about sustainability committees and task forces. We met with the Dover Conservation Commission and learned about some of the challenges they faced managing fertilizer pollution. They were most interested and had many questions. As a result we followed up with an information packet stuffed with resources and references.